Applaws Natural with Chicken Breast and Pumpkin is a complementary food for adult cats. It contains 100% natural and simple ingredients to provide your cat with the diet that nature intended. The chicken breast used is premium quality and is cooked in its own juices for added natural flavour. The chickens are fed on pure organic feed and are hormone free. Pumpkin is an excellent source of fibre for cats and will help to improve digestion and taste. There are no additives, colours, flavours or taste enhancers. Chicken Breast 50%, Pumpkin 24%, Chicken Broth 24%, Rice 1%. 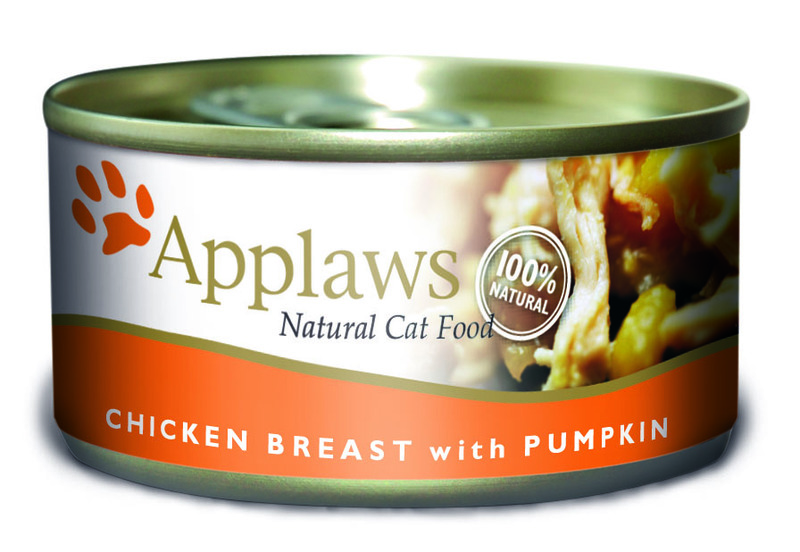 There are currently no questions for Applaws Natural Chicken Breast & Pumpkin Cat Food - be the first to ask one!